One the the Kinn’s most appreciated features are the adjustable foot pegs. But footpegs and younger children call for spoke guards (sometimes called wheel skirts), because little feet caught in spokes can really hurt. 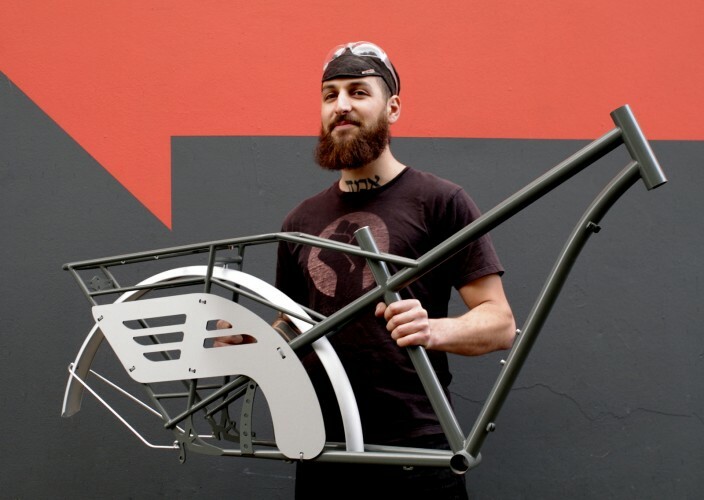 Below is Max showing off Kinn’s spoke guards, mounted to a stone-grey frame. 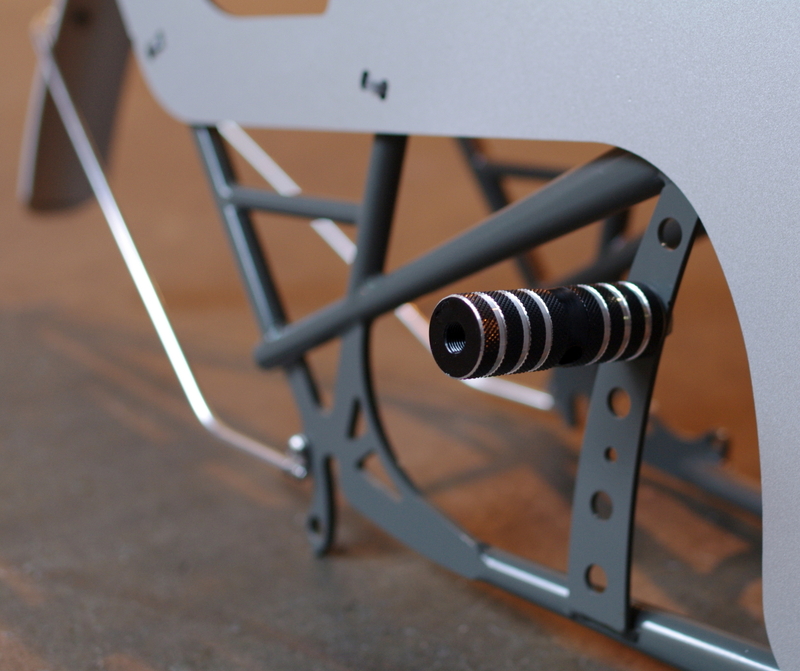 Besides looking cool and protecting little feet, our spoke guards are double-sided. One side is brushed aluminum that matches Kinn’s aluminum fenders. The other side is powder coated white, perfect for painting or decorating. You could or even using as a whiteboard. This is possible because of the material we used which made of plastic sandwiched between two layers of aluminium. It’s stiff, light, durable and can bend to fit the frame. Awesome. You can get a pair of Kinn’s high-tech, retro-cool, double-sided, Portland-made spoke guards for $42. Ask wherever you bought you Kinn. If you use the Yepp child seat you won’t need spoke guards as they have foot protection built in. 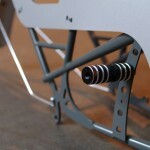 Here are the Kinn’s footpegs with the spoke guard installed. Passengers are more stable and comfortable when they can use their feet to steady themselves, rather than just have them dangle. They also make it easier to mount and dismount the bike. The wide adjustable range allows for anyone from Little Leon to Auntie Amy to go for a spin. Footpegs are standard on all Kinn bikes. If you’ve somehow lost yours, just drop us an email at connect@kinnbikes.com and we’ll get you a set.